As much as what we have done are bad for the bees, humans are not their only enemy. 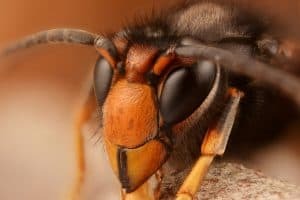 The Asian hornet(Vespa velutina) was recorded for the first time in France (Lot-et-Garonne district) and has spread in 4 years across 20 districts, over approximately 120,000 km. (Vespa velutina)1https://www.researchgate.net/publication/224842243_A_New_Enemy_of_Honeybees_in_Europe_the_Asian_Hornet_Vespa_velutina. Originally from Taiwan and India, this species has demonstrated its perfect adaptation to the brand new European environment by the rapid growth of colonies. the invasive Asian hornet (Vespa velutina) in the south-west of France. The three species are morphologically distinct in color and size, and all of them are strongly attracted to honey bees as a prey. However, the Asian hornet is much more aggressive than her European sisters. The invasive predator represents a serious threat to local pollinators, mainly honey bees. In Japan, beekeepers sometimes prefer European honey bees to native honey bees, because of the larger honey harvest. Those European bees are not prepared for the attacks of the local Japanese giant hornet, a sub-species of the Asian hornet. Once one of these giant hornets has located a hive of European honey bees, it leaves pheromone markers around it, that attract other hornet nest-mates. When they attack, an individual hornet can kill forty European honey bees per minute, while a group of 30 hornets can hunt down an entire hive containing 30,000 bees in less than four hours2https://en.wikipedia.org/wiki/Japanese_giant_hornet. After the honey bee mass, the hornets return to their nest with the bee thoraxes and bee larvae to feed to their larvae. Bee heads and limbs are left behind and remain as proves of the massacre. Why do hornets attack bees? Hornets attack honey bee colonies to feed their brood with proteins (bee larvae) and to get carbohydrates (honey). Asian honey bees defend their colonies and form a ball of worker bees around the intruder and kill it by heatstroke, like in this following, impressive video by National Geographic. 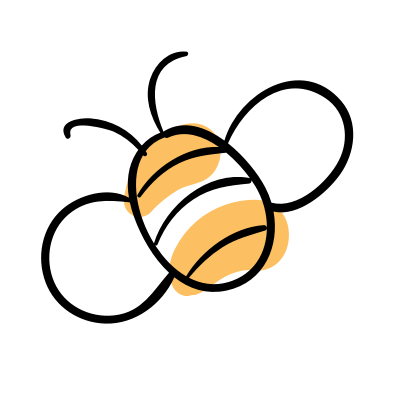 In Europe, native honey bees successfully display the same balling behavior against the native hornet species, but unfortunately they can’t consistently fight the Asian hornet3https://www.researchgate.net/publication/224842243_A_New_Enemy_of_Honeybees_in_Europe_the_Asian_Hornet_Vespa_velutina. In France, bee colonies exhibit ineffective defense strategy against attacks of the new invader. How to stop the Asian hornet? The eradication of the Asian hornet seems no longer possible. Further expansion into other countries in Europe is expected to occur soon, if governments won’t conduct rapid and efficient control management. To avoid further expansion of the Asian hornet, we have to act on European and global level. – fight back with largely distributed hornet traps. Read more in our article about hornet traps.